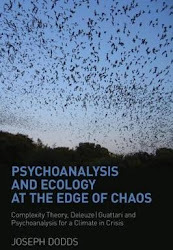 The Edge of the Wild is an annual gathering of people with a passion for ecopsychology. Ecopsychology is concerned with the emotional, psychological, political and spiritual interrelationship between humans and the more-than-human world. Bringing together a rich diversity of perspectives from across the ecopsychology movement in a setting of natural beauty, the gathering seeks to promote and support a more respectful and harmonious connection with the other-than-human.